UN 13 January 2015 – Urging all Haitian stakeholders to form a consensus Government, the top United Nations official in in the country joined the ambassadors of several countries today in deploring the fact that the Haitian Parliament became “dysfunctional” after failing to hold elections within its constitutional framework. Additionally, the extraordinary session of the National Assembly, which was convened to vote on the amendments to the Electoral Law, has also not taken place, said a statement issued by Sandra Honoré, the Special Representative of the UN Secretary-General in Haiti, and other members of the international community represented in the “Core Group” (Ambassadors of Brazil, Canada, France, Spain, the United States and the European Union, and the Special Representative of the Organization of American States). “The ‘Core Group’ is gravely concerned that the Haitian Parliament has become dysfunctional due to the fact that elections have not been held within the constitutional timeframe,” a statement released by the UN Stabilization Mission in Haiti (MINUSTAH) said. The “Core Group” welcomed the Political Accord recently concluded between President Michel Martelly and several opposition parties and called on all parties to join in on consensus in the “best interest” of the nation. “Recognizing the recent efforts made by the President and other actors to rebuild confidence in the political process, the Core Group further calls on all stakeholders to continue negotiations with the objective of forming, as a matter of urgency, a consensus Government,” the Group said. Haiti must also form a Provisional Electoral Council in the spirit of Article 289 of its national Constitution, and organise, as soon as technically feasible, inclusive, fair, and transparent elections in 2015, in order to consolidate democracy and stability. Five years ago this week, on 12 January 2010 a devastating earthquake struck Haiti killing more than more than 220,000 people as well as 102 UN staff, delivering a major blow to country's already shaky economy, infrastructure and political landscape. Originally established on 1 June 2004 by a Security Council resolution, MINUSTAH’s mandate was increased after the earthquake to help the immediate recovery, reconstruction and stability efforts. 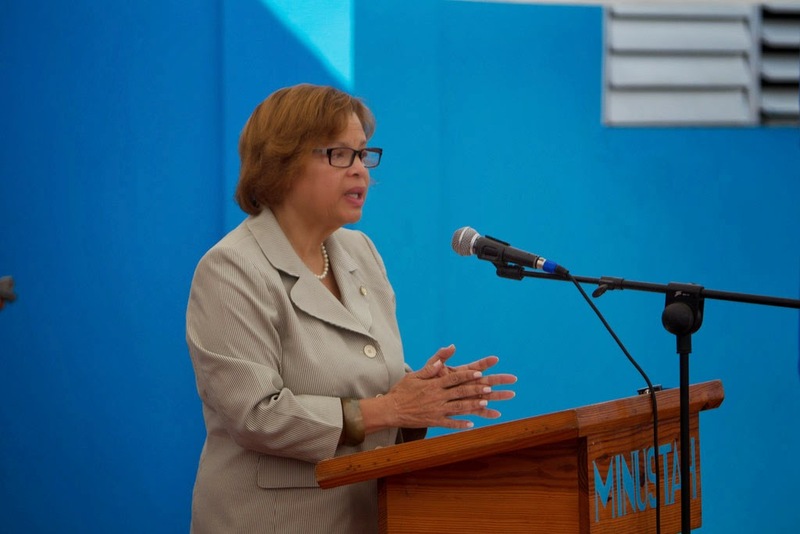 The Council then requested MINUSTAH to further provide logistical support and technical expertise to assist Haiti’s Government to continue operations to build the capacity of its rule of law institutions at the national and local level.